There are two times when you should pay particular attention to home maintenance: before you buy the home and when you're selling it. Oh, and all the time in between as well. Yes, taking good care of your home is essential if you want to preserve the highest possible value of your property and ensure that you get the most utility and comfort from your residence. What's this about maintaining a home before you even own it? The point is to factor in maintenance decisions when searching for a property. Decide early on if you want to spend time and money to keep up elaborate landscaping or if you prefer something that practically takes care of itself. You may find that a condo suits you better if you want a low-maintenance lifestyle. If you want a house on a large lot with lush gardens, make sure you are prepared to spend what it takes to water it and keep it looking good. Also make sure to have the property professionally inspected. You will get information on what systems need repair or attention right now. You can make your own observations and ask questions to ascertain what expenses might be necessary in the future, too. Take into account the lifespan of various materials and systems as well. For example, some roofs are meant to last 15 years, others are intended to hold up as long as the house. Natural wood siding typically requires periodic repainting; brick and stone do not. When you own a home, it's easy to let little problems slip to the bottom of your to-do list. After all, that leaky faucet isn't really hurting anyone. This deferred maintenance, as it's sometimes called, comes at a cost, though. For starters, something like a leaking faucet does cost money in the form of higher water bills. And some minor problems can turn into major problems if left unattended. Which would you rather pay to repair - a sink faucet that's not working properly or a floor ruined from the leak from the sink faucet that you should have repaired months ago? Chances are that you will fix these items when you prepare to put your home on the market. If you're going to pay for them anyway, why not take care of them when you can enjoy the benefits of the repair? So you put off some maintenance that you should have tackled long ago, and now you're getting ready to sell your home. You have a choice to make. You can catch up on all those deferred maintenance projects - replace rotten boards, paint trim, swap out the broken light fixture in the closet with one that works, get someone to do something about the windows that are painted shut, and so on. Or you can leave things as they are. If you choose the latter route, you need to understand how that affects the marketing of your home. Many buyers today want a home that's in "move-in condition." Those who are willing to overlook some faults here and there will expect to pay less for your home than a similar property in top condition. Rightfully so. But be prepared that you probably are not looking at a dollar-for-dollar trade. That is, if your home needs $20,000 worth of work to get it in shape, a willing buyer will want more than $20,000 "discount." That additional amount is what makes it worthwhile for someone to spend their time and energy working on the home. If you're getting ready to buy or sell, your Realtor can discuss with you how maintenance issues will affect your decision and costs. Whether you're interested in buying your first home, your next home, or just want to know more about homeownership in general, I encourage you to check out a couple of great online resources: http://www.texasrealestate.com/ or http://www.har.com/ and for all of your Pearland TX and Northern Brazoria and Galveston County real estate needs, please visit my site at http://www.danfrankrealty.com. All of these sites offer tons of useful, real estate-related information geared specifically for Texans. 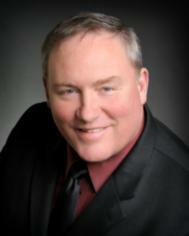 Danny Frank is a local Pearland TX Real Estate expert. Most of the repairs my husbands contracting business does could have been avoided if maintenance would have been kept up. It cost more in the long run! Here,...it used to be when an inspector had not much else to say about a well maintained home, it was always "Pitch the landscaping away from the hous"...in view of the monster floods we have had anyone who doesn't pitch landscaping, clean gutters and make sure downspouts are no where near the foundation is asking for big time problems....Maintenance isn't difficult it is time consuming....but if you don't make the time early in the prevention process...we all know what happens ! Danny, congratulations on being published. Some larger, older homes will demand almost constant maintainance. They may have great charm, and buyers must weigh the maintainance factor when they buy. Home inspections are a must. Good article. Yes yes yes, don't wait for the Realtorto come and tell you what you need to fix or even better for the home inspection. Congratulations on being published! Home maintainance is an on going project. Pride of ownership sells. Wise council. Excellent points made here. An ounce of prevention is worth a pound of cure. So often those little things that would have been easy to deal with early on, turn into big and expensive projects later. How often I've worked with a seller bemoaning the cost of "fixing" to sell and it was obvious a little care would have been far less expensive. Not to mention the additional emotional strain they are now under in the selling process. It is so much easier if things are right when you are ready to sell. Selling is already a stressful process and trying to fix things at the tail end makes it even worse. Good post -- deferred maintenance has always struck me as a very odd description! (Is the place still standing??? ).